We specialize in creating strong management/employee teams within an organization that focus on accident and workers compensation insurance cost reductions as well as OSHA compliance. What sets us apart is we focus solely on these activities while our competitors tend to be generalists focusing on multiple regulatory agency requirements. This specialization enables our clients to achieve and maintain superior results. 1993 graduate of the University at Buffalo, holding a Bachelor of Science degree in Business Administration with dual concentrations in Financial Management and Management Information Systems (MIS). 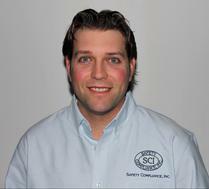 Founded Safety Compliance, Inc. in 1996. Responsible for developing, implementing and overseeing safety auditing teams at Rich Products Corporation's Buffalo, NY plant and the Mideast Regional plants of Ethan Allen, Inc. from 1998 - 2001. Developed and presented 2003 University at Buffalo seminar entitled "Managing a High-Efficiency, Low-Cost Safety Program." 2009 team recipient of Governor's Award from Delaware Governor Jack Markell at Hirsh Industries, Inc. in Dover, DE. Award granted for achieving steep workers compensation insurance cost reductions. 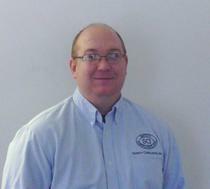 Elected to the Snyder Manufacturing, Inc. (Salamanca, NY) Board of Directors in 2010. Between 1998 and the present, assisted nine companies in five different industries with achieving SHARP certifications. Interests include reading, writing, running, weightlifting, guitar. Majored in Communications at Canisius College. Completed OSHA 30-hour OSHA training certification. Responsible for account management at four SHARP-certified companies in addition to account management responsibilities at multiple other companies. Primary areas of experience include the metal fabrication, concrete, food, woodworking, electronics and biotechnology industries. 2-time defenseman of the year on Canisius College hockey team. Member of Detroit Red Wings affiliate in Toledo, OH from 2006 - 2008 and Chicago Blackhawks Pensacola, FL affiliate from 2008 - 2009. 2-time player of the month. 9 years of volunteer experience with Habitat for Humanity. Interests include hockey, hunting, fishing, hiking, country music. ​Bachelor of Science in Organizational Management at Houghton College. Micro-MBA, University at Buffalo. 39 years of combined experience as an Equipment Development Technologist, Quality Control Manager and Engineering and Operations Manager. 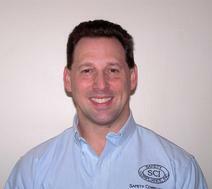 12 years experience as a safety committee member and safety manager at Cherry Creek Woodcraft, Inc., earning a SHARP certification in 2006. Primary areas of experience include the electronics, metal fabrication, woodw0rking and powder-coating industries.